The Wychwoods in the Cotswolds since 1980! 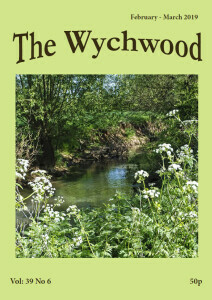 The magazine is published every two months, by the community for the community and our friends, with 68 pages, packed with features, articles, news and short stories about life in the Wychwoods. 2019 is well underway; perhaps the novelty has worn off already. This new year heralds several new writers in our magazine as well as the old(?) favourites. Jenny Miller, Brian Rigby and Terry Wilson have each written articles that will appeal to readers. Jenny has written about the use of drones – yes, the things that caused havoc at Gatwick over Christmas, both the advantages and drawbacks of their use in the Wychwoods. Her article is informative as well as thoroughly practical and it certainly opened my eyes. Brian Rigby brings in the vital element of humour to our magazine with a thoroughly offbeat article about a mythical Lady Mondegreen. What Terry Wilson brings to these pages is the idea of community spirit as he recounts the efforts of the volunteers who help keep Diggers Wood such a good place to visit. So, there’s information, humour and inspiration in this issue thanks to our new writers. Does this inspire you? We are always on the lookout for people who have a particular interest or passion and who are prepared, with support from our editorial team, to put pen to paper. Quite apart from the articles noted here, turn the pages to read about places to visit on your doorstep, activities of our cubs and children, a lifetime spent in the workshop and many more items. It is only due to our writers that The Wychwood is so good to read; THANK YOU. We are always pleased to hear from the community and our visitors. Please take a minute to tour the site and give us feedback. We are always looking for interesting articles and features, so if you have a story to tell please check our Editorial Policy page for guidance on writing articles and for issue deadlines dates. 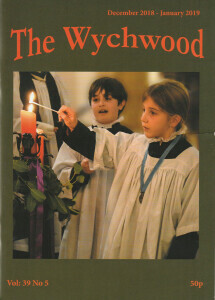 If you would like to have a regular subscription to The Wychwood delivered to your door, you can apply from this link.